For more than three decades, a literary renaissance has been going on in the United States. Through poetry, prose and drama, Latino authors illuminated the American experience for Spanish-speaking peoples whose ancestry goes back to Latin American lands. Voces Americanas: Latino Literature in the United States introduces this vibrant literature and many facets of Latino culture. 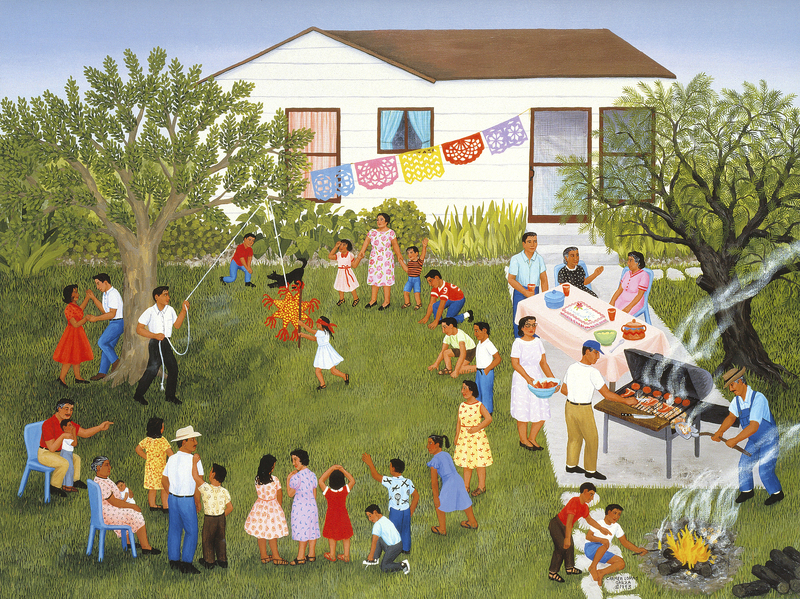 A celebratory survey of works by Latinos in the past thirty years, the exhibit presents images of authors, books, movie stills, public presentations, and illustrations. Voces Americanas is an exhibition produced by Humanities Texas, the state affiliate of the National Endowment for the Humanities.